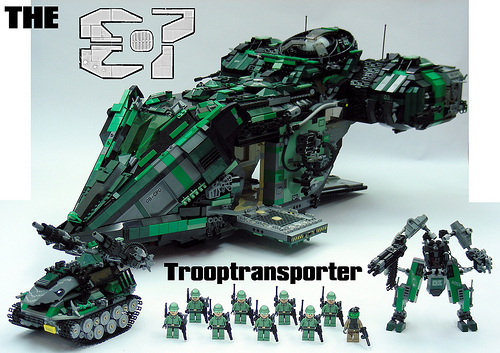 Raoul Baldwin (Raoulosos) built a giant troop transport craft to carry infantry units and vehicles into the heat of combat. The mix of greens and black creates a camouflaged pattern while the tan interior adds a beautiful contrast. Wow, that’s a work of art. My son would love it.